Black background with pink and white spots. Black fleece and stitching. 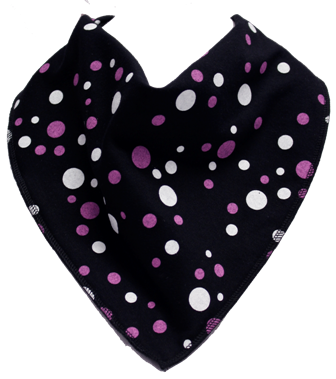 Size 1 dribble bibs are suitable for children of about 5-10 years.